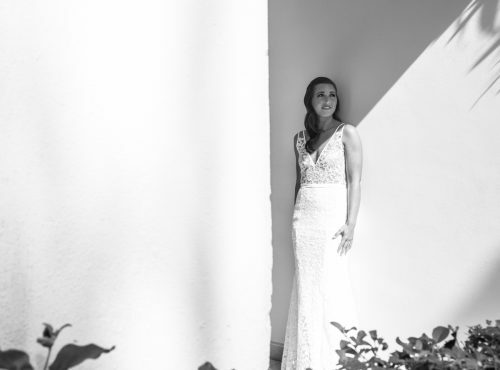 Samantha & Jordan are Fun In the Sun Weddings’ newest newlyweds! This groom found his Golden Goose in one of the most unlikely places. 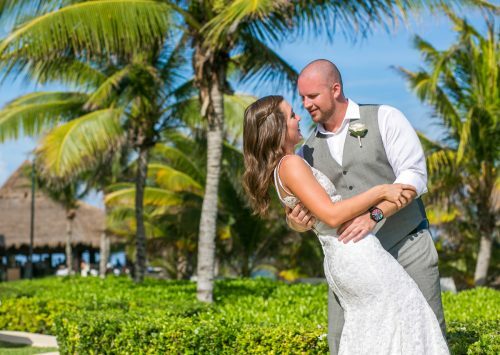 Samantha and Jordan found lifelong happiness in one of the most unusual places – Tinder! Even more strange was why they were ever matched up in the first place because they lived about 45 minutes away from other. This is proof that if it’s meant to be, the universe will find a way! The bride and groom both have goofy parents, so Sam didn’t think anything of it when one Easter they planned a backyard Easter egg hunt. The hunt was designed so that there was only one prize GOLDEN egg to be found among all the regular ones, and Sam, being both competitive and completely oblivious to Jordan’s secret plan, was determined to find it! She scoured the yard searching for the coveted golden egg, unaware that everyone else was just picking up rocks and kicking dirt. When she finally found the prize she pulled it out of her bag to show the group and saw a look of panic sweep across Jordan’s face. The egg was broken! He snatched up the bag and pulled out the other half of the egg…the one that was holding a ring box. Sam was in complete shock, and obviously, she said ‘Yes!’. 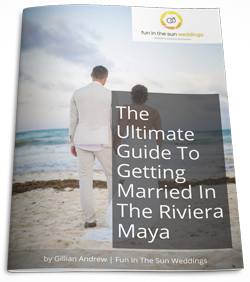 The bride and groom settled on a destination wedding in Cancun at Secrets Siversands because they wanted a small and intimate affair. The select guest list made their day that much more special in the end. 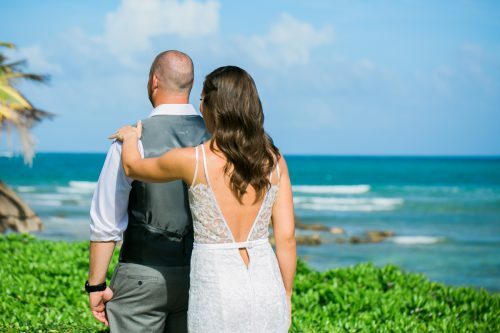 The bride’s beautiful beach wedding dress was a DIY project by her Mom! After shopping for dresses, Sam found one she loved, and then her mother copied the design, adding details to make it unique and perfect. Talk about special! 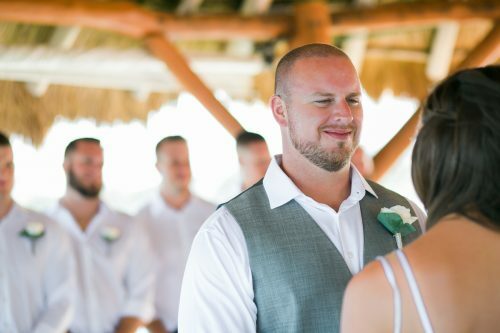 Sam and Jordan’s favorite moment was their First Look. I didn’t realize how nervous I would be before I saw him! It was an exciting moment! 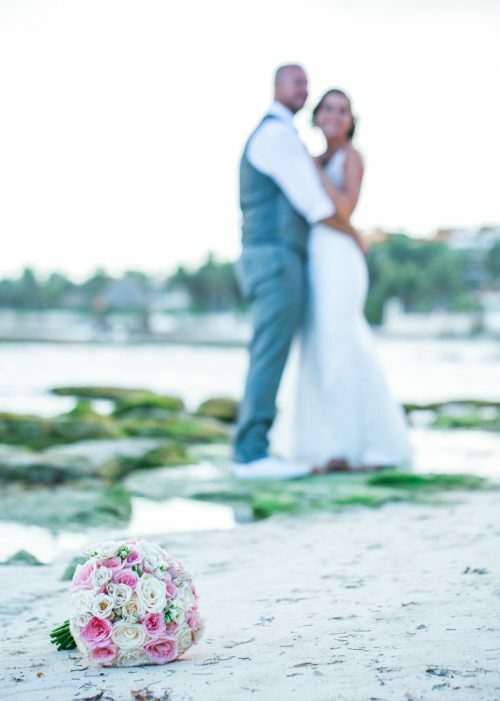 What is the bride’s advice for you brides-to-be’s getting married on the beach? Live in the moment, and don’t sweat the small stuff. Sam and Jordan, it has been such a pleasure working with you and we wish you every happiness as you start this new adventure together. Congratulations! 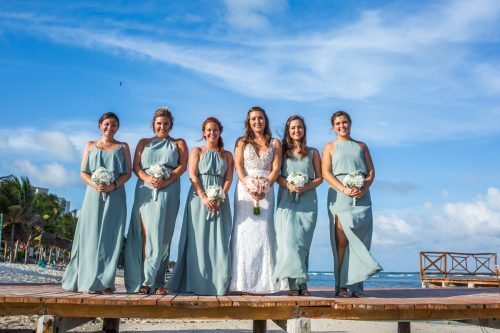 And if you are looking for the best Riviera Maya wedding photographers for your beach wedding, then contact us today! 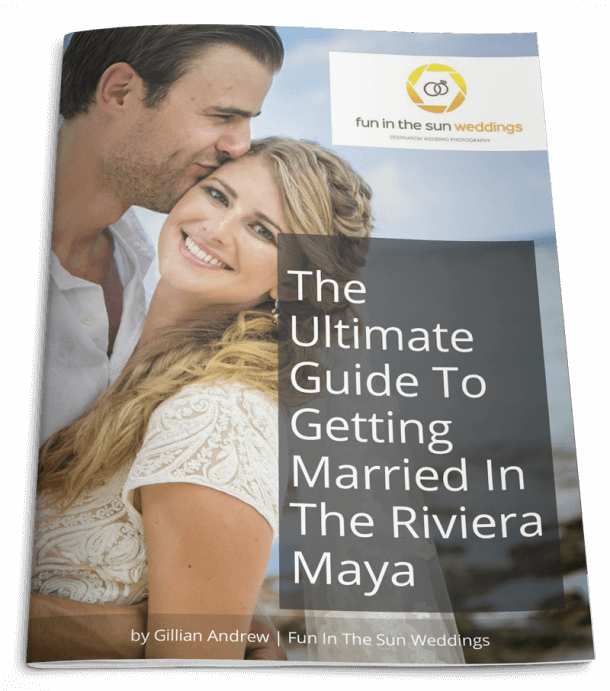 We are Fun In The Sun Weddings, the best wedding photographers in the Riviera Maya, Mexico. Want to know more about Secrets Siversands? Read unbiased reviews on Tripadvisor here. Marc was amazing! The photos turned out wonderful!